After testifying in front of Congress and continuing his lawsuit against WME over alleged sexual assault by an agent, the "Brooklyn Nine-Nine" actor is now on the receiving end of a lawsuit. According to Deadline, Terry is being sued for $1 million by his former friend/social media manager Darwin Hall. The plaintiff claims he's owed more that $1 million in wages and reimbursements for work he did on Terry's social media accounts and his website. He's totally 6,000 hours of work he wasn't paid for. Hall is accusing the 50-year-old actor for breach of contract, cyberbullying, and harassment. He reportedly is also suing for an "implied and disputed discrimination move against a member of the LGBTQ community in a business dust-up over an app." 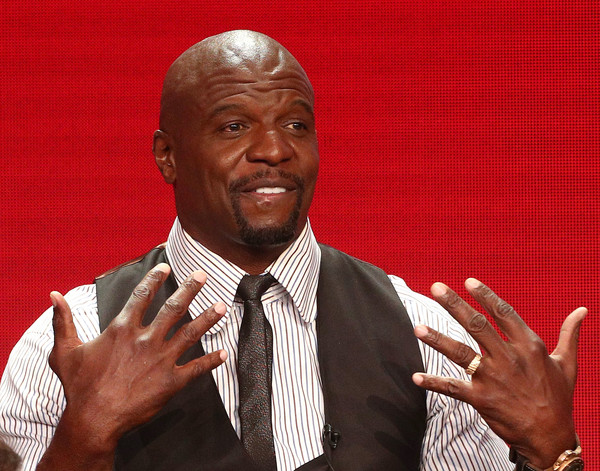 In the suit, Hall said Terry encouraged his fans to harass him with threats after the actor blasted him on social media. The suit reads: “This Complaint is brought by Plaintiff Darwin Hall seeking payment for services rendered and costs incurred by Plaintiff in connection with his services to Defendants, and for Defendants’ tortious acts in response,” says the jury-seeking multi-claim filing made in L.A. Superior Court yesterday by the owner of Milwaukee, WI-based Symbolic Web Media, LLC. “As a direct and proximate result of Defendants’ breach of the agreements, Plaintiffs have suffered damages in an amount to be proven at trial, and exceeding $1,000,000,” the complaint adds, with claims of emotional distress plus “several harrowing weeks of despicable online harassment and cyberstalking” launched off posts by Crews in late 2017. Things are far from static in the 17-page plus extensive exhibits filing (read it here), where Hall details a digital “professional relationship” with his “long time friend” and then just-retired NFL player Crews that started in 1999 to “enhance” the latter’s online presence. The paperwork also mentions helping Crews “obtain additional followers for his social media accounts,” a statement that is a bit odd as social media didn’t exist in the sunset of the 20th century. Hmmm....that social media tidbit is very interesting. How was he helping Terry gain followers when social media wasn't a thing back then? Nonetheless, that misstep aside, the filing adds that the duo apparently agreed on a price of $55 per hour for the online duties and Hall went to work putting together websites for Crews. Those efforts included working on Crews’ Facebook page and more up until 2017 it seems. Efforts that Hall and his lawyers at Beverly Hills’ studio accounting specializing Johnson & Johnson LLP assert aided Crews to transition from sports to be able to “unquestionably” make it in the TV and film business – which is when the payments were supposed to kick in. Yet, despite supposedly putting in over 6,000 hours working for Crews, Hall says he was only paid $28,479.06 by the Deadpool 2 actor over the decades – which makes it sound like he needs an accountant as well as attorneys. Then, with the August 14 filing suddenly taking a very ugly turn to claim Crews essentially freaked out in mid-2013 over Hall working for an LGBT-identifying client on what the plaintiff calls a “dating app that the client had created for professional women,” things went toxic between Symbolic Web Media and Crews’ loan-out company of Crews Arts Ltd – which is in theory how things ended up in the court system. Terry has yet to respond publicly to the lawsuit. We told y'all Mariah Carey’s former manager Stella Bulochnikov (Stopler) was planning to sue the singer. And now, ish just got real. Stella has been trying to serve her former Grammy Award winning client with a summons, but wasn't able to...until now. It's reported Stella tried several times to serve MiMi, but “the doorman would not call up to the apartment saying that he knew Ms. Carey was not home.” After the third attempt, the server left the documents with the doorman. Stella, who appeared on Mariah's reality show, said she believes she's owed commissions for the millions and millions of dollars she helped MiMi earn while working together. She's estimating up to $100 million in three years. Damn! “When I started representing Mariah in 2015, I made her over $27 million. The following year, in 2016, I made her $35 million. In 2017, I made her roughly $40 million. I had secured over $50 million in deals through our joint company for 2018,” Stella told RadarOnline. Bulochnikov is also prepping to sue Roc Nation because she believes they interfered with her joint venture with Mariah — which was going to produce movies and TV shows — which was worth $50 million. Part of that lawsuit will also include allegations of canceling and then re-booking of shows to cut out Stella’s commission. Mariah's ex-manager filed a summons in NYC court in April, stating she was going to sue for breach of contract and a violation of the Fair Employment and Housing Act. At the time, she also claims when Mariah was naked around her that she would do “sexual things” in her presence. Right after Stella filed that summons, Mariah spoke out and revealed she has been battling with bipolar disorder. She likely shared her disorder because she knew Stella was going to start talking. Remember when we told you Viacom filed paperwork against the game (real name Jayceon Taylor) to pay courts costs in the rapper's $20 million lawsuit? 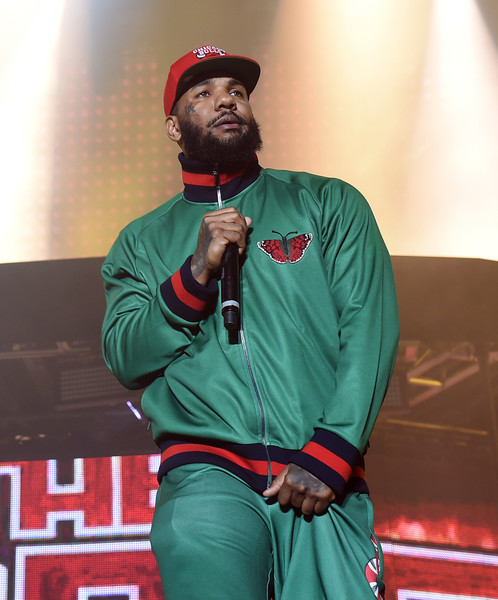 Well, he just took another "L."
You'll recall, The Game lost the $20 million lawsuit he launched against Viacom after an alleged sexual assault that went down during filming of his former dating show, "She Got Game." A judge dismissed the suit in June. He launched the lawsuit because he felt Viacom should have been liable for the $7.1 million judgement he was hit with by the alleged victim, Prisicilla Rainey. But, the judge didn't see it that way. And the system isn't on his side again. The west coast rapper has been ordered to pay a total of $32,528.80 to reimburse the company for the money spent on legal fees. Viacom was seeking $35,729.50, so he got a super small break in the ruling.